There is intensity of feeling this month, and you will succeed at any activity in which you feel emotionally involved – in fact, emotion is a key part of what drives you to succeed, and it can provide a secret ingredient to any project you are busy with. This emotion can both help and hinder you in personal contacts – you can impress people with your obvious passion and drive, and yet if not kept contained, you can come over as so intense that it is intimidating. This is a very creative time and a period where you can express deep emotions and also psychological concepts via art – you can reach people at a deeper level and move them emotionally via your words, images, or music. You need to widen the circles within which you move this month to attract attention – look beyond the obvious. This month is one where you should not shy away from highly competitive situations; you should also not be put off by the actions of others, which may well be driven by jealousy. Support may come from unusual sources rather than from those closest to you. Again this month is one of tackling unconscious reflex reactions that may no longer be productive for you, i.e., your pleasure seeking and pain avoidance reactions. Live in the present and face reality for what it is rather than looking at it through the prism of the past. Try to delay acting in situations where there is a strong impulse to behave in a certain way – ask yourself if this behaviour reflects the new you or an outdated you. You have a great deal of energy this month, and the energy will help you to have more stamina to work, exercise, build muscle or compete in sporting events. 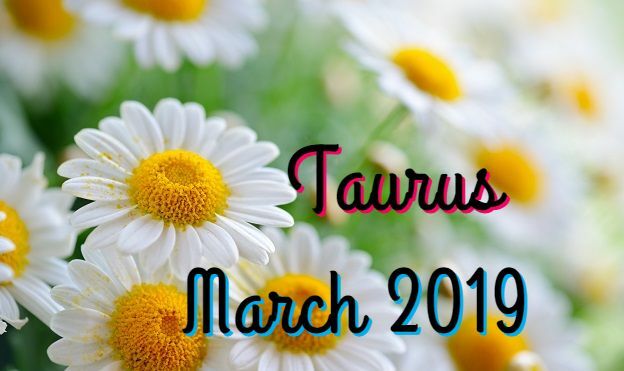 There is a selfish side to this month as you put your needs first – but as Taurus are often people pleasers, this is never a bad thing. There is the ability to learn a lot about yourself regarding your most intimate relationships – there can be both challenging moments in love but also enlightening ones. There will be many chances to re-evaluate how you behave in love and what your triggers are, i.e., what gets your back up, causes jealousy or the need to control. You will find that by addressing the triggers and changing the way you deal with them, you can actually have more control in the relationship and that will make you feel more secure. Generosity of spirit in love and the ability to see beyond the trivial can increase understanding. You need to avoid self-deception as often lying to yourself about issues in your love life can be more of a problem than the other person. It really is you not them as often problems in love are more to do with what is going on with you emotionally than the other person. There is a strong element of karma in relationships this month. New relationships may have uncanny coincidences or links to the past or perhaps a feeling of déjà vu. March may be a time of dreams and premonitions about love or your future partner. The mystical element comes to the fore strongly in all love relationships, and the challenge is to feed off that enhanced spirituality and fantasy element that is so tangible right now without being overcome by the paranoia or delusion which are the negative manifestations. Whatever happens in love this month, it will be deep – emotions that arise now must be examined rationally and not ignored. Some time to yourself is essential and can help you gain more perspective from which you can act in your and the relationship’s best interests. You can work long and hard this month to achieve ambitions close to your heart – you are more competitive than usual, and so a head to head battle will spur you on. You are ready to stand up for yourself, and so you will not allow superiors or colleagues to push you around, sideline you or ignore your ideas. You can make a good impression on others as you come across as enthusiastic and capable. This month is good for initiating activities. If you have loads of routine work to do, you can feel bored and demotivated – in this case, you will need to be working on some long-term plans on the side or doing a few hobbies. The ideal situation is where you have leadership roles to fulfil or where you have to work with speed and accuracy, i.e., in exams or where you have deadlines. You have more confidence in your ideas, and you can debate with energy. This is a very good month for learning as your mind is alert and ready for new information – you also have more mental energy, which aids all work. You can be impatient, and you are likely to gloss over details, but this month it is not the details which are so important, rather getting the main part of the job done – you can always go and tweak it later to get the finer points in order. This month is terrific for jobs and careers where you combine physicality with art, i.e., dance, gymnastics or where design meets the physical world, i.e., architecture, landscape gardening, hairdressing. You are physically dexterous and also fast with your hands. Taking in enough water and getting iron are important this month. You need a very varied diet and should avoid stodgy, heavy meals.